@ipkiss Hello and a belated happy new year to you too! I'm really missing writing about my tanks, and so much has changed! I'm glad my journal entries were as entertaining for you as I thought they were in my own head. I have one week left of classes and then finals. After that I have graduated, and off I go to working for the man and hopefully writing for myself again! I promise to return and give you the lengthiest update once that happens! Thanks and Best of luck and success!! @puriance Do you use CO2 in your tanks? And can I ask what plants you have/what temp you run? It looks great! Updating because it's been a few months. 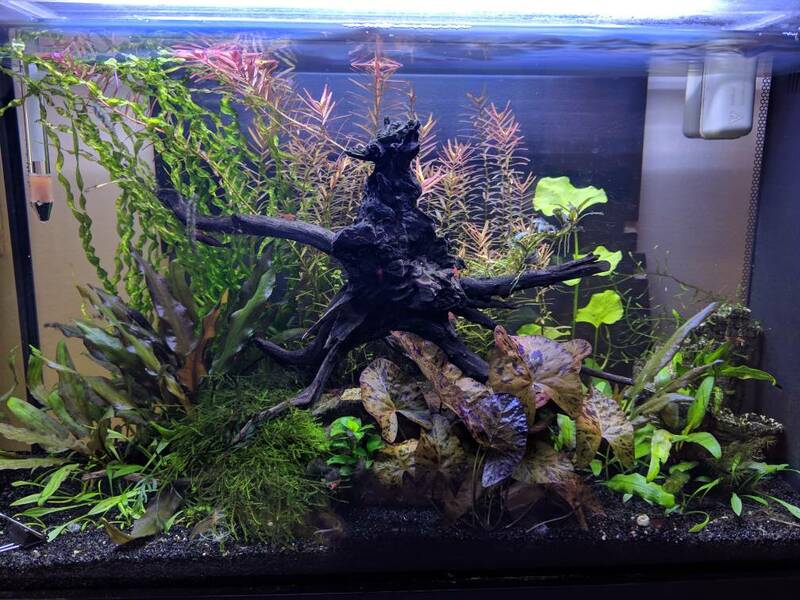 This has officially become the tank where I dump species I don't need right now but might in the future... Definitely needs to be thinned out!